The confrontation highlights the Moroccan routine response towards self-determination and human rights activists in the occupied territory of Western Sahara. Moroccan police forcibly broke up a pro-independence demonstration in El-Aaiun on April 15, beating dozens of activists. Saharawi demonstrators from all walks of life took to the streets to protest occupation and demonstrate solidarity with political prisoners languishing in Moroccan jails. The protesters were responding to a call launched by local NGOs, with demonstrators chanting self-determination slogans and denouncing the plundering of Saharawi natural resources. Members from the United Nations Mission for the Referendum in Western Sahara (MINURSO) were patrolling the city, but didn’t intervene. Rumour has it there was a visiting American diplomatic delegation in town. The demonstration was not an anomaly. Protest is a permanent feature of Saharawi life, taking place despite constant police siege and an embargo imposed on all activity advocating independence and the respect of Saharawi rights. Saharawis cling to peaceful demonstrations as a tool to raise awareness about their plight and the endless quest to bring justice to the people of Western Sahara. “I’ve been brutalized and beaten countless times,” said Bamba Lafqir, an activist who showed up during the peaceful demonstrations despite his old age. The elderly activist always comforts demonstrators who protest peacefully along Smara Avenue each week in protest at the lack of freedom of expression, self-determination, lack of opportunities, and the plundering of the resources, along with other rights guaranteed by international charts and conventions. “I have no hope at all of progress as a result of the annual Security Council’s meetings and resolutions on Western Sahara. Security Council members do not know what it is like to live in an occupied country,” he added. The local authorities and the police tend to accuse protestors of being liars, mercenaries and ingrates who fail to recognize the benefits of Moroccan society, including free education and healthcare among other privileges they claim are bestowed on the Saharawis. 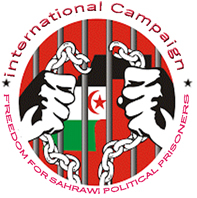 Saharawi media groups are not exempt. No one is spared if caught by enraged police seeking to disperse the resilient Saharawi crowds. Many cameras were confiscated from regular citizens who stood by to document the event using their cell phones. A young Saharawi media activist named Bousoula was caught filming. After the beating he endured, his camera was confiscated. The confrontation highlights the regular way the Moroccan government deals with Sahrawis supporting self-determination in the occupied territory of Western Sahara. The conflict in Western Sahara was born in 1975 when Spain withdrew from this vast region inhabited by less than one million people. The former colonial power intended to cede land to Morocco and Mauritania, without taking into account the desire for independence of the Saharawi people. The conflict in Western Sahara was born in 1975 The Polisario Front, which had already fought against the Spanish, turned against Morocco and Mauritania. Mauritania signed a ceasefire in 1979, but Morocco and the Polisario Front continued to fight until 1991. During that year, another ceasefire was signed, reinforced by a "sand wall" of more than 2,700 kilometres built by the Moroccan army, which still separates the positions held by Morocco (80 percent of Western Sahara) and positions held by the Polisario Front. In 1991, following the ceasefire, the UN launched its Mission for the Referendum in Western Sahara (MINURSO). As the name suggests, the mission was supposed to allow the rapid organization of a referendum in Western Sahara, while ensuring peace between the Polisario Front and Morocco. By the UN's own admission, this goal was a complete failure. Negotiations between Morocco, Algeria, Mauritania and the Sahrawi Arab Democratic Republic (SADR) have barely evolved since 1991. Christopher Ross’ resignation as the UN special envoy was confirmed by the UN Secretariat in the latest draft report that the new UN Secretary General Antonio Gutteres presented to the Security Council earlier in April. The emissary in charge of resolving the conflict in Western Sahara apparently delivered his resignation in January. This underlines the failure of the UN to move the lines in this dispute, which has lasted for more than 40 years. All Saharawi and international observers believe in one possibility: only a fair, impartial and transparent referendum would allow Saharawi voters to set the political direction for their country, Morocco has said it plans to offer no more than autonomy for the Saharawi, who have long struggled to embrace freedom and independence. “There is the possibility of some action this April, but we must understand that Morocco has strong allies, namely France , and will try to crush the Saharawis living under occupation if that would make it prolong the occupation years ahead to remain in power and keep its privileges,” said field activist and campaigner Abdelkrim Mberkat, whose monthly stipend was cut off recently due to his activism and advocacy. Human rights violations in Western Sahara are a major issue in international reporting. The UN Committee Against Torture condemned Morocco last December for numerous violations of the Convention Against Torture concerning Naama Asfari, one of the 21 Sahrawi militants detained since 2010. Their appeal proceedings, which will resume on May 8 will once again throw a crude light on Moroccan practices in this vast territory as all prepare for the last phase of the trial of the Gdeim Izik groups of Saharawi political prisoners held captive since the brutal bloody dismantling of the protest camp, Gdeim Izik, in November 2010 on the outskirts of El-Aaiun city. Last summer, the Moroccan army was deployed to the Guergarat zone, an alleged buffer zone, to build a paved road - across its fortified sand wall that marks the border of the territory under its control - to facilitate traffic to sub-Saharan Africa, causing new tensions with the Polisario Front. Morocco was clearly violating the 1991 ceasefire, since at the time there was no road at that location. Morocco has also deployed patrols and set up a base in the area. Polisario brought its troops and established a base there, and even started monitoring traffic. It is time the whole world realized that patience is at its limits for the Saharawis and what they have endured for over four decades. It is time we listened to the voice of the Saharawis on both sides of the sand wall and appreciated their sacrifice and their resilience in waiting for the international community to enable them to enjoy the benefit of the right to self-determination.